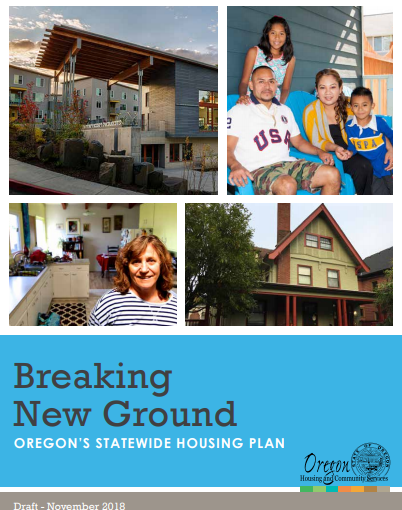 Oregon Housing and Community Services (OHCS) is accepting public comment through December 19 on their draft Breaking New Ground: Oregon’s Statewide Housing Plan. The Statewide ​Housing Plan is an important step forward to articulate the extent of Oregon’s housing problem and what can be done to address it. A copy of the Plan, appendices, a survey for your comments, and an interview with Director Margaret Salazar can all be found at this link. Breaking New Ground: the OHCS Statewide Housing Plan, is a five-year look at the agency’s priorities, goals, and strategies in ensuring a stable and affordable housing landscape. Equity and Racial Justice: Advance equity and racial justice by identifying and addressing institutional and systemic barriers that have created and perpetuated patterns of disparity in housing and economic prosperity. Homelessness: Build a coordinated and concerted statewide effort to prevent and end homelessness, with a focus on ending unsheltered homelessness of Oregon’s children and veterans. Permanent Supportive Housing: Invest in permanent supportive housing, a proven strategy to reduce chronic homelessness and reduce barriers to housing stability. Affordable Rental Housing: Work to close the affordable rental housing gap and reduce housing cost burden for low-income Oregonians. 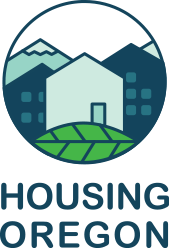 Homeownership: Provide more low- and moderate-income Oregonians with the tools to successfully achieve and maintain homeownership, particularly in communities of color. Rural Communities: Change the way OHCS does business in small towns and rural communities to be responsive to the unique housing and service needs and unlock opportunities for housing development.